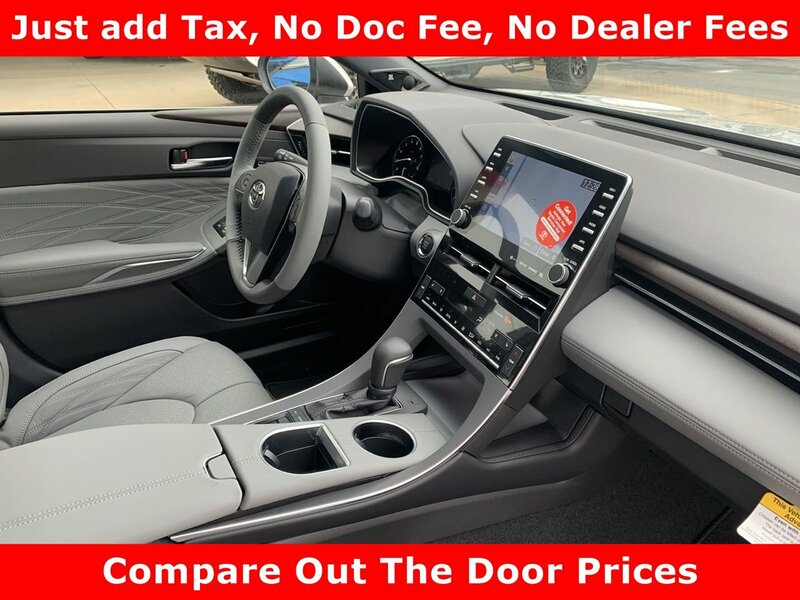 Safe and reliable, this 2019 Toyota Avalon Limited comfortably packs in your passengers and their bags with room to spare. Toyota Safety Sense P and Rear Cross-Traffic Alert (rcta), Tire Specific Low Tire Pressure Warning, Side Impact Beams, Rear Child Safety Locks, Outboard Front Lap And Shoulder Safety Belts -inc: Rear Center 3 Point, Height Adjusters and Pretensioners. Lane Departure Alert (lda) w/Steering Assist Lane Keeping Assist, Lane Departure Alert (lda) w/Steering Assist Lane Departure Warning, Emergency Sos, Electronic Stability Control (ESC), Dual Stage Driver And Passenger Seat-Mounted Side Airbags, Dual Stage Driver And Passenger Front Airbags, Driver And Passenger Knee Airbag and Rear Side-Impact Airbag, Curtain 1st And 2nd Row Airbags, Blind Spot Monitor w/Lane Change Assist Blind Spot Sensor, Back-Up Camera, Airbag Occupancy Sensor, ABS And Driveline Traction Control. Window Grid Antenna, Wheels: 18" x 8.0" Super Chrome Alloy, Valet Function, Trunk Rear Cargo Access, Trip computer, Transmission: 8-speed Direct-Shift Automatic, Transmission w/Driver Selectable Mode and Sequential Shift Control. Come in for a quick visit at Toyota of The Shoals, 5100 Highway 43 S, Tuscumbia, AL 35674 to claim your Toyota Avalon!